High quality, men's 14k solid white gold angled design link bracelet. This bracelet is individually made and hand-polished, not mass produced, for superior quality and finish. Approx. 24.5 grams of guaranteed 14k solid white gold. Also available in 14k yellow gold, shown below. 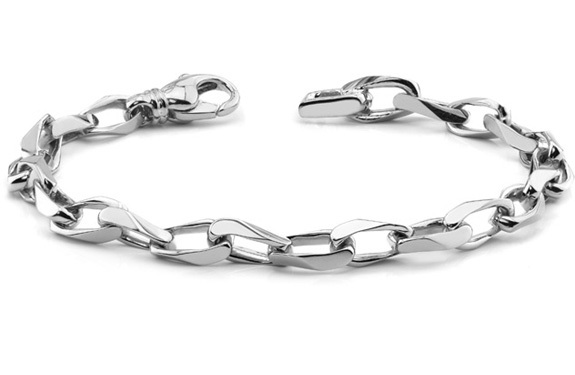 We guarantee our Men's 14K White Gold Angular Link Bracelet to be high quality, authentic jewelry, as described above.